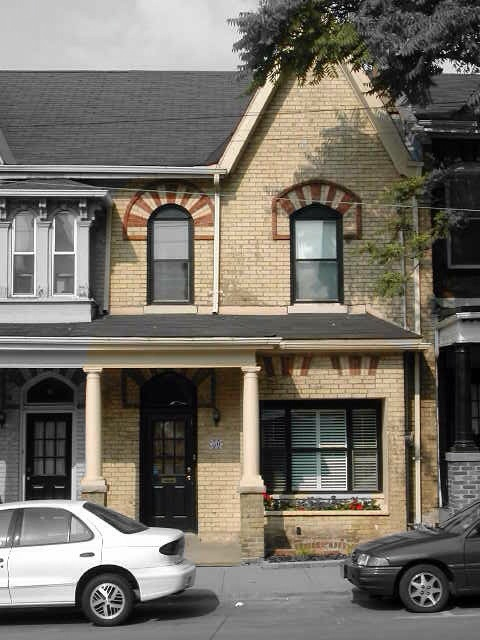 My first home in Toronto. The first home that the man and I owned together. My first reno. You never know what you'll find when you open up the walls of a 130 year old house! I'd do it again in an instant. Wait a minute, I DID do it again - twice more. Glutton for punishment? Nope - just love making a place my own. And REALLY love the Victorian floor plan. Links of the creative, arty, inspiring kind. Now THIS is an interview. I wanna go to THEIR dinner party! And this was a life. How you can Instagram Direct. A retailer's Instagram Direct experiment. Seen and loved two, wanna see the third. I attend in Vancouver but here's the Seattle one. I've watched most episodes 3 times! I zoomed out my December newsletter this past week with all sorts of ideas for making things happen in 2014. And on We Are The Contributors - do you journal? This weekend? Holiday parties galore. Some duty (I can work the room with the best of 'em) and some fun. Having friends over for brunch (I'm a big fan of the brunch for entertaining - who doesn't love breakfast food?). And general hanging out with the man and the girl. What are you up to?